Nostalgic S Club 7 fans, you won’t want to miss this. Three members of the 90’s pop group (they’re known as S Club 3 now… sad) will be performing at Societe Dubai on Thursday, September 21. Ready for the ultimate throwback?! insydo tip: Entry is free to this event and doors open at 10pm – gotta love retro bars in Dubai Marina! It doesn’t matter how many times we walk through Buddha Bar’s doors, the space never fails to dazzle. That said, we suggest booking a table for this weekend and sampling their awesome menu of Japanese specialties and deadly cocktails… presentation is always flawless. insydo tip: Try the ‘Yuugata‘ pre-dinner experience from 7pm-9pm that features AED 35 cocktails and bites & drinks from AED 25. The weather has finally allowed us to hit the sands at Zero Gravity Dubai once again… yesss! With a cool night brunch taking place on Friday, September 21, expect a lot of old-school games like air-hockey (and Jenga!) along with chill vibes and good music. insydo tip: Night brunch runs from 8pm-11pm and costs AED 295 per person – great if you want to brunch with a great after-party that follows. 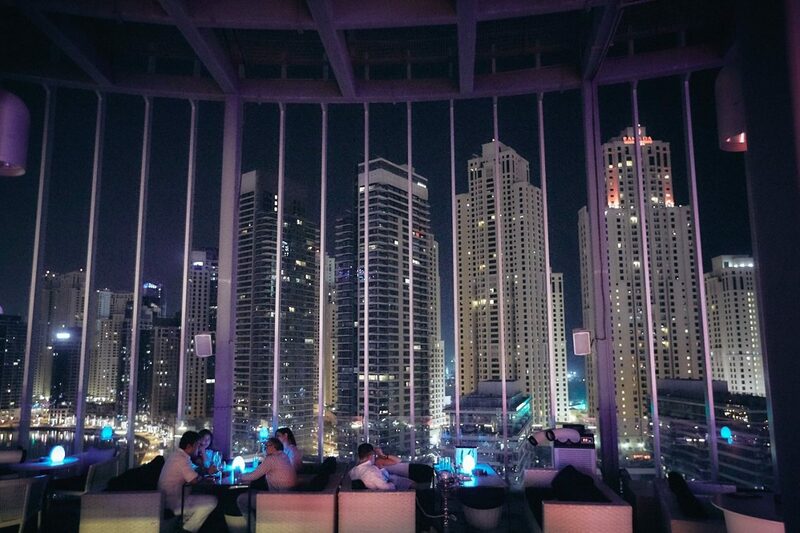 We love Asia Asia: from an incredible selection of food to the unbeatable skyline views you can enjoy on the terrace, this trendy spot never goes out of style. Unleash your inner Geisha and soak up the atmosphere – it’s always on point. insydo tip: Request a table by the centre if you’ll be sitting outside; tables to the side only offer views of the mall (boringgg). Atelier M is welcoming the weekend with an evening party brunch from 7pm-11pm on Friday, September 22. From Mediterranean bites to its elegant atmosphere, expect good things from this lounge and restaurant concept. insydo tip: They’ve got billiards for anyone looking to play a game while enjoying their drinks.